Smart travelers already know that they shouldn't be traveling with full bottles of shampoo, conditioner, moisturizer and other toiletries. Even the smaller travel-sized containers can take up a lot of unnecessary space, not to mention the extra space between the bottles in the sealed plastic bag for airport security. 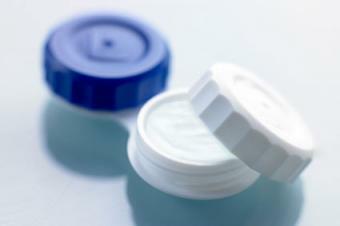 A standard contact lens case is a far more compact solution that also reduces the amount of space between containers. These are designed to be leak-proof, so you can put your creams, lotions and liquids in there for short trips. After all, you only need a little bit for a few days! This also works for makeup. Daily pill cases with separate compartments, provided they are thick enough, will also work well. An even better option? Ditch all of your toiletries altogether and simply use what the hotel provides. Many people have heard of travel space saver bags, which squeeze all the extra air out of your clothing and allow you to fit up to three times as much content in the same amount of space. However, they can be limiting in what and how you pack. A much more readily available (and much more budget-conscious) solution is the trusty rubber band. 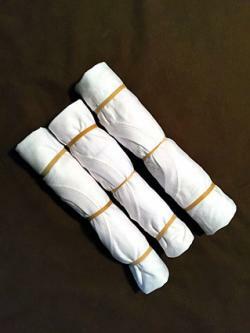 By rolling up your clothing into separate bundles - multiple t-shirts can be rolled together quite easily - and then wrapping these bundles in rubber bands, you can save significant space in your travel bag and make room for other items. You ever get a t-shirt shot out of an air cannon at a sporting event? This is the same thing. It is prudent to start with the mantra of packing less, but this can be further supplemented with the mindset of maximizing what little space you do have available. If you have a roller luggage, even in the carry-on size, you may have a design where the vertical bars for the handle and track infringe upon the interior space of the bag itself. In order to maximize the available space, place smaller items in the space between the vertical bars, and between the bars and the outside edge of the bag. This is an excellent space for undergarments, socks, thin rolled up t-shirts, and other similar items. If you lay an article of clothing flat across these bars, you lose an incremental amount of space. Using the same concept, you should be mindful to utilize the nooks and crannies in your bag. 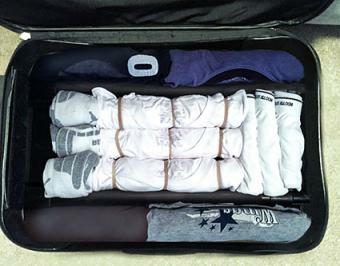 If you are packing an extra pair of shoes, you can easily stuff a couple pairs of socks in there, for instance. It is a misconception that if you choose to travel with a single bag that your bag is the only place for your belongings. No airline is going to charge you extra for the jacket that you are wearing as you board the plane, so leverage that 'extra' space in your jacket accordingly. 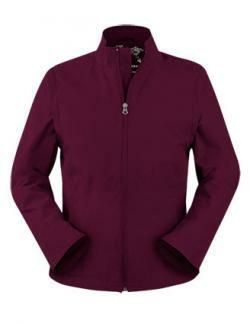 This is best accomplished with jackets that have multiple zippered pockets. Stash the extra cables, chargers and other accessories for your gadgets in these pockets. You can even fit a rolled up t-shirt or two, along with several other small items to free up some space in your actual luggage. Taking this one step further, you could invest in a smart jacket that has been designed specifically with the traveler in mind. Jackets like those offered by SCOTTeVEST orBaubax have purpose-built compartments for all your electronics, including large pockets that can even accomodate an iPad. You have to take off your jacket to get through security anyhow, so you'll spend less time emptying your pockets at that time. Travelers wishing to pack as light as possible oftentimes assume that they can only bring one pair of the shoes: the ones they wear onto the plane. Footwear can take up a lot of room in an already small luggage, but there is a handy trick to overcome this problem by taking advantage of the 'personal item' airlines allow in addition to a carry-on bag. Wear the larger shoes or boots as you go through security and board the plane, but keep a set of ballet flats or flip flops in your purse or other personal item. These take up very little room and don't need to be put into your carry-on bag at all. You can even find foldable sandals to minimize space. For longer flights, you can switch over to the more comfortable footwear you have stashed away after taking your seat, changing back just before you land. If while in the process of packing your bag, you question whether or not an item or article of clothing will actually be needed on the trip, there's a good chance you can do without it. You can (and should!) do laundry on longer trips. By going with a single bag, particularly a carry-on bag, you don't have to wait around at the luggage carousel to retrieve your bag and making your way around your destination will be far easier and more carefree. You'll also avoid checked bag fees! 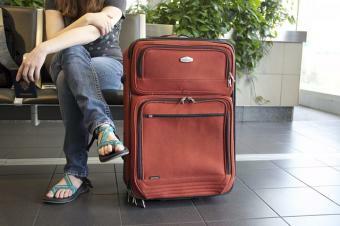 Following these suggestions - and other air travel packing tips - can help keep your luggage needs to a minimum!